Savannah and I made some super cute and glamorous gift wrap ideas and gift tags for the Joann’s Look Book, Glamorous Gifts collection. 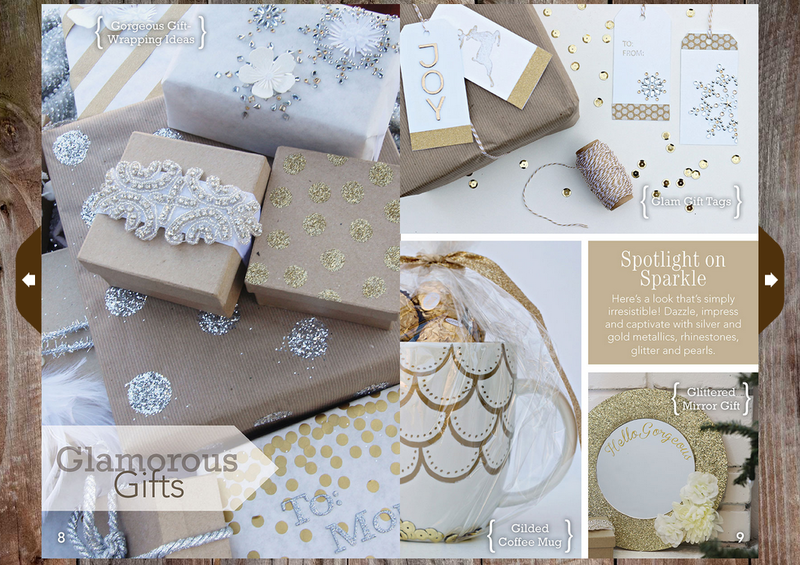 This was our favorite collection because we love gold, glitter, sparkle and everything that Glamorous Gifts entails. It is just so gorgeous! Here is how you can make your own! 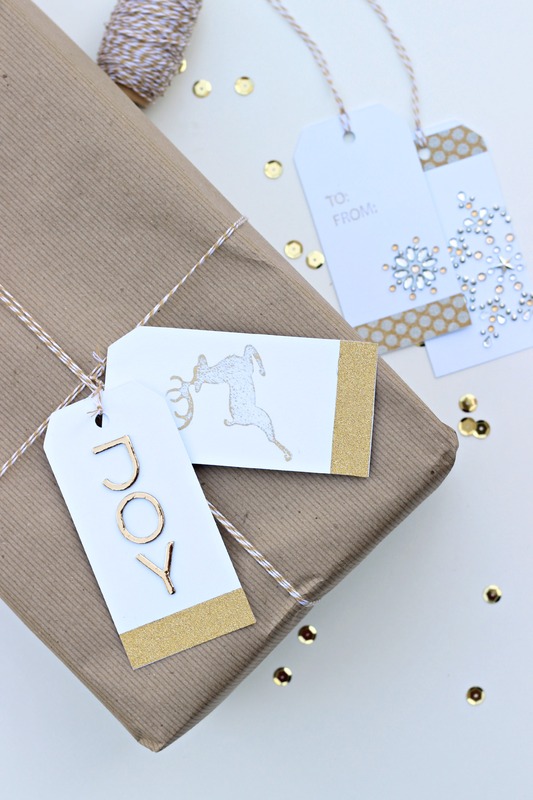 Using holiday stamps and gold ink pad, stamp designs onto gift tags. 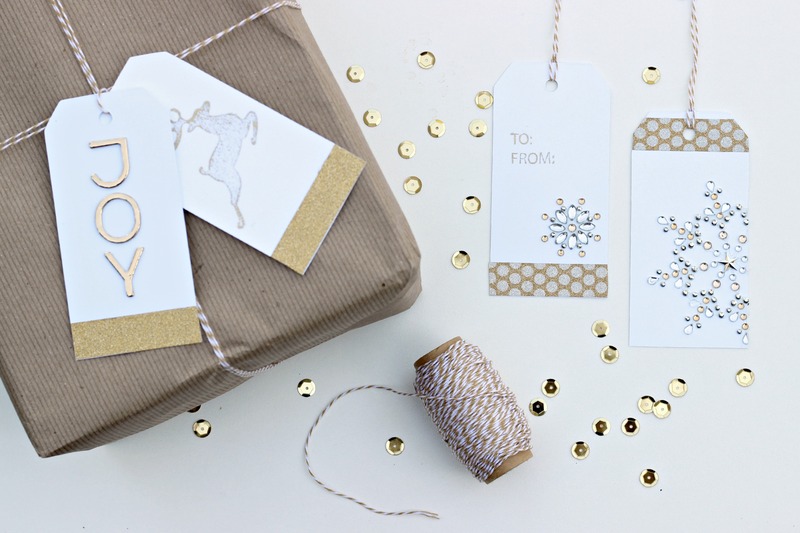 Use baker’s twine to attach gift tag to gift. 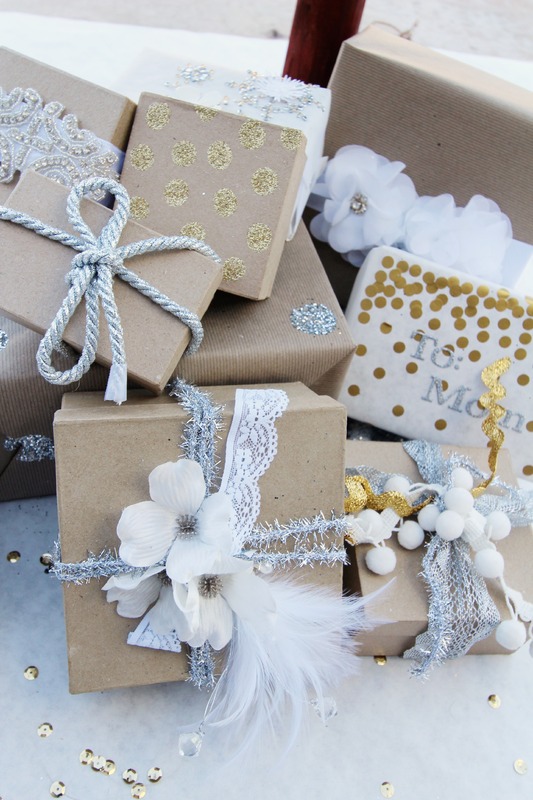 Check out Savannah’s Glamorous Gift Wrap Ideas here.